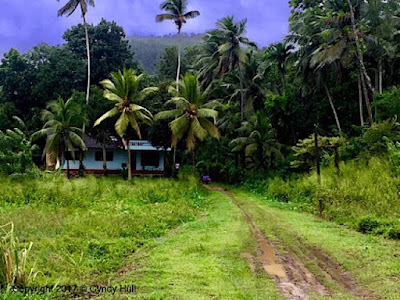 Eye clinics were scheduled for two villages where the people primarily work in a coconut plantation, husking coconuts. They are paid a few rupees for each coconut they husk. 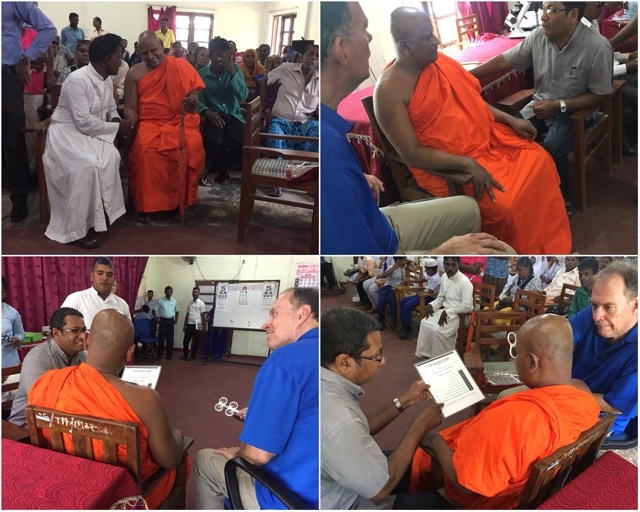 As preparations were being made, with a small tent being erected for shade, a radical Buddhist group called the BBS opposed the eye clinics, accusing the church of bribing people to convert to Christianity. For safety, the clinics were relocated to another village about 30 minutes away. Arrangements were made to transport the people on lorries (trucks). 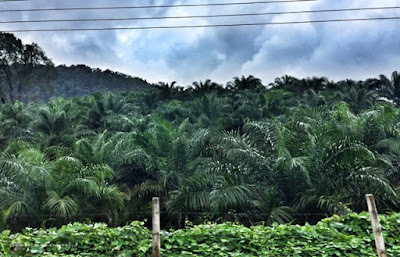 Sadly it turned out that because they would need to be gone for several hours, their plantation manager would not give them leave from work. Our prayer is that the opposition will die down, and an eye clinic can be held for them in the future. 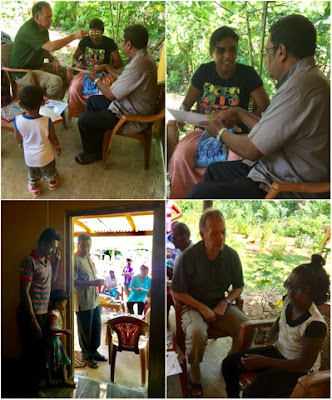 Friday and Saturday's clinics were still in the Negombo area, in the villages of Horogasmulla and Polwatta (which means coconut garden. This particular village is so small it doesn't show up on Google Maps). 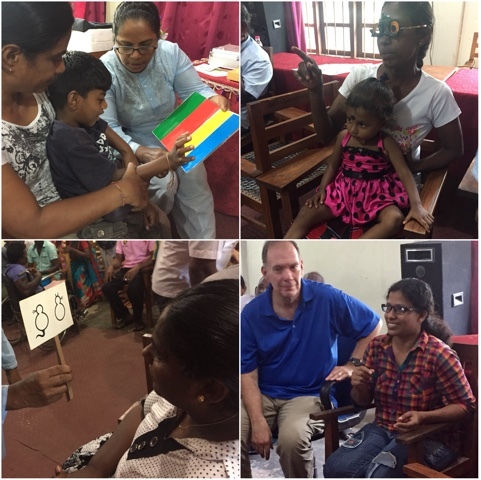 The local Methodist churches organized and hosted the clinics. 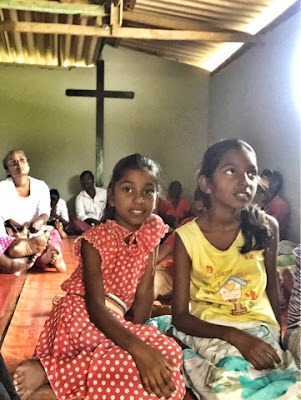 The Methodist Church of Sri Lanka has a 200 year history here, and retains a level of respect from villagers and officials. The villagers primarily work as potters. Shaping and firing serviceable clay pots for flowers, water, then selling them to wholesalers. At least 2 men came that drive commercial trucks. We were glad to help them, and make the roads safer. 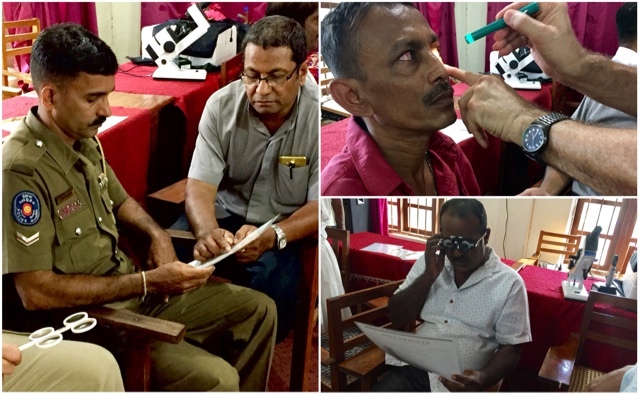 During two days, 237 people had their eyes examined; 207 received eye glasses. All were prayed for and encouraged. The broad smiles on their faces as they look through their new glasses and see clearly is a rich reward. The lady in the middle runs a small shop and needed to be able to read the tiny writing on her product packages. The two men are commercial truck drivers. Without glasses, one could only read the 1st to lines of the chart. Working with Commercial Truck Drivers for many years, I know how critical good eyesight is to them. Thank you for being a part of what God is doing in Sri Lanka. Catch up with Cyndy as she gets over her jet lag at www.Montana1aDay.com. If you are reading this, please cover your eyes and scroll down or up to a different post - unless you have absolution on offer. Because my confession is: In the roughly 11,000 air and land miles of the past couple weeks, I fell pretty hard off your prescribed No Dairy-Grains-Sweetener wagon. 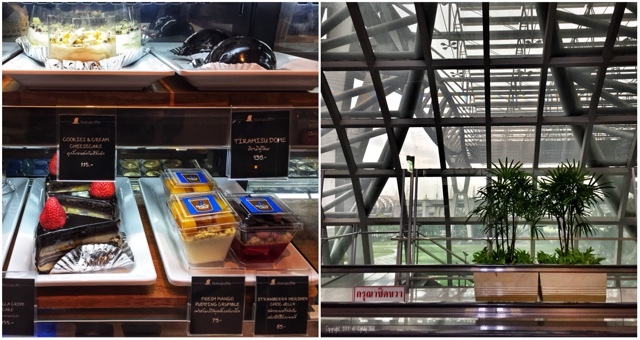 Yes, there were plenty of tasty vegetables and protein choices - which I gratefully and heartily enjoyed. But there were also warm croissants. 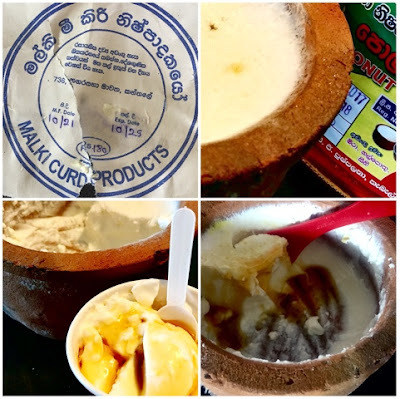 With butter from sweet-eyed Sri Lankan cows. And mango pie. And those little traditional spiral pastries infused with honey. And not just ice cream - which I could have passed up - but gelato. It would have been decidedly impolite to rebuff the hospitably smiling flight attendant who handed it over without asking if I wanted any, right? And, as a Canadian, it goes against my inborn ethics to be impolite. 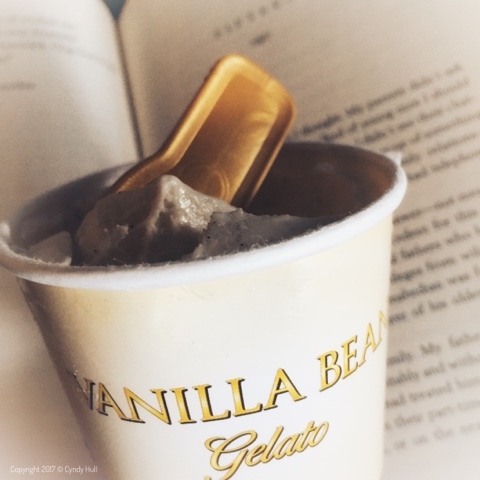 Plus, even if she HAD asked if I wanted a micro-serving of frozen delight (in an elfin cup with a wee little spoon, no less! ), I couldn't have LIED - particularly in my pseudo-missionary status - because I truthfully wanted it desperately enough to lay aside my handcrafted Sweet Peaks snobbery and fully live in the deliciously chilly moment presented. So, now I hope you can understand why I could no more refuse the gelato (or creamy yoghurt, Biskoff cookies, and the stroopwaffle I saved for later...) than the swallows can NOT fly to San Juan Capistrano. But tomorrow is a new day ripe for new beginnings - starting right after we meet the kids downtown at Sweet Peaks. (Anyone else in for a scoop of Candy Corn or Plum Cadamom? 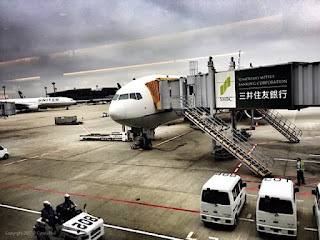 Tuesday's early morning airport run on traffic-free highways took us about 45 minutes. 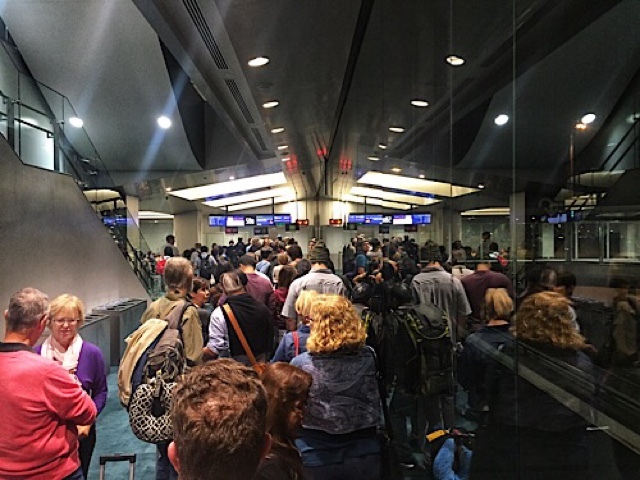 By 6 am, rush hour is at full capacity, and the same commute would take twice as long. Sadly, we could not delay bidding bon voyage to Cyndy who is now back on US soil. We will miss her inquisitive mind, organizational skills, and decidedly positive outlook. Not to mention that I will miss the joy of spending time with my 'little' sister. 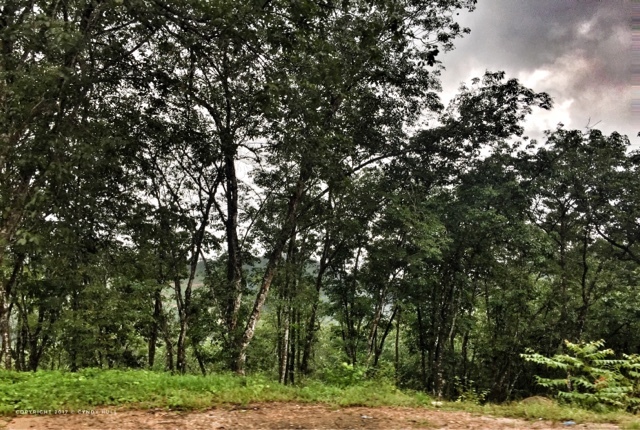 Driving the new highways of Sri Lanka sometimes seems surreal. We could be anywhere in the world. Well, anywhere that they drive on the left side of the road that is. Well, my one carry on suitcase is locked and in the van, along with my personal bag. And contents have increased to include a lovely gift plaque and chest of tea, plus 30 small packs of pepper and cinnamon, and 100 packets of a tasty tincture called Samehan. So I guess I can say I've successfully achieved my packing goal to not check any bags, aside from the two allowed bags that will stay here along with the useful gifts and eyeglasses we brought to leave. 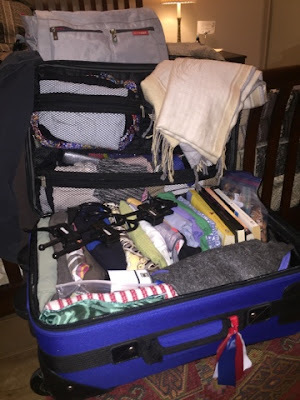 My husband makes me look like a profligate travel packer. For a week's stay, two pairs of jeans, three t-shirts, and daily skivvies go into his duffel. And then, when doing laundry on our return home, he remarks that he packed too much. 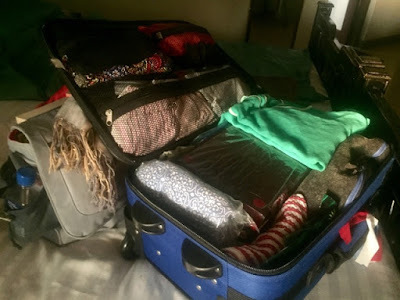 Next time, I'll pack lighter and have more room for more tea! 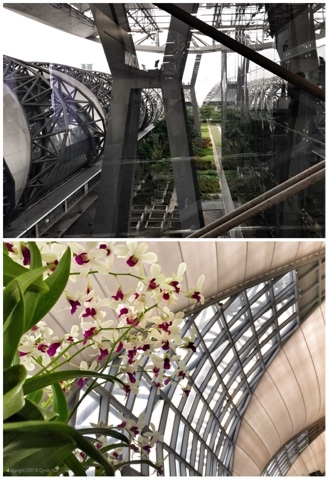 Today I'm off to Bangkok, then tomorrow to Tokyo and through to Denver and Missoula. 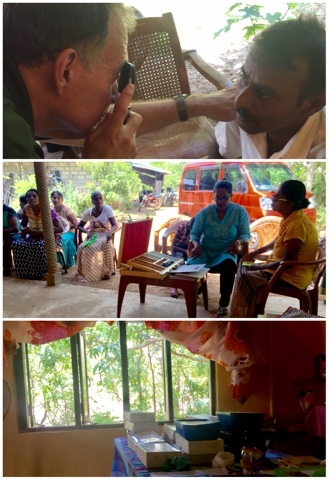 Pat and Gary are prepping for services in Moratuwa and then on to the next eye clinics. Yesterday's return travels took us through an area where water buffalo are common and a regional food specialty is curd made from water buffalo milk. A drizzle of treacle completes the treat. Lucky me, everyone else was full so I got to finish up the pot! 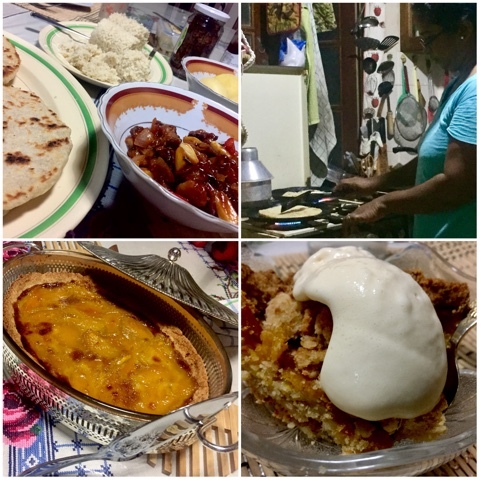 And to finish my stay, we had dinner at our hosts' home: coconut roti, pittu, deviled smoked fish, and mango pie made from fresh mangos from a tree in our Thambalagamuwa host's yard. Tomorrow we leave to the airport at 3:30 AM for my 7 AM departure flight - always the bittersweet segment of any journey, as I'm sad to leave dear ones here, but looking forward to seeing dear ones at home. Today we returned to the general area of Thambalagamuwa, but another 15 or 10 minutes further up the road, at the home of one of the members of the church. As always, people were already waiting well ahead of the clinic start time. As the day continued, people kept arriving via foot, motorcycle, tuk tuk, and motor scooter, and waited patiently in the shade of the trees and patio in our host's yard. 128 pairs of eye glasses. That's 148 distinct individuals who thought it worth their time to wait, sometimes hours, for a basic eye exam, in hopes of receiving help for vision impairment. 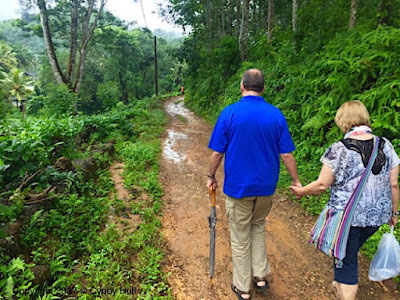 And that's 148 people of differing religions and backgrounds who received time and personal attention and care from our team - including our host family, two local pastors, and one pastor's wife - who all agreed it is a privilege to be a tangible & useful expression of how Jesus loves. Please be encouraged right where you are: You don't have to travel away from home to be used by God to show His love. It doesn't have to be the biggest or the most lavish anything - you just have to look, and God will help you see a genuine need you have the ability to fill. 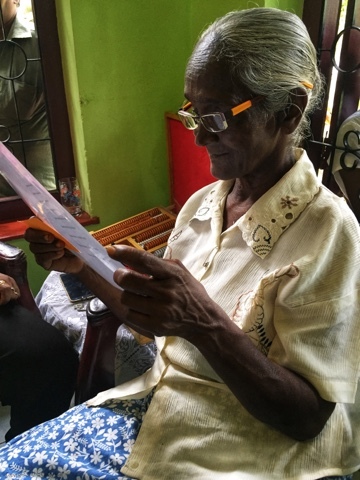 In case you wondered at the difference between the numbers of eye exams and distributed glasses, there are varied reasons some people do not receive eyeglasses at these clinics. The best scenario is when they have perfect vision. Other reasons are typically for situations we cannot cover: different prescriptions in each eye, cataracts, glaucoma, injury to the eye, or extreme prescriptions strengths. 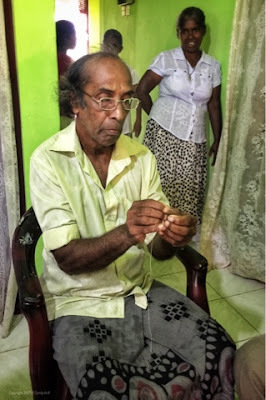 This gentleman informed us that he is a tailor and the reading glasses he received today will be very helpful in his daily work. 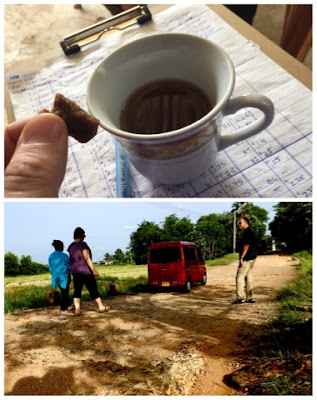 After we'd finished the last exam and packed up our gear, our gracious hosts served tea in a traditional village manner, with chunks of hakuru or jaggery, a raw sweetener made from reduced kithul palm tree sap - you take a small bite of the hakuru then a sip of tea - yum! On our return journey, we again debarked to portage at a very deep and rough section of the road. The little van has been impressive on its inaugural road trip with 5 adults and eye clinic luggage, but this would have been asking too much. 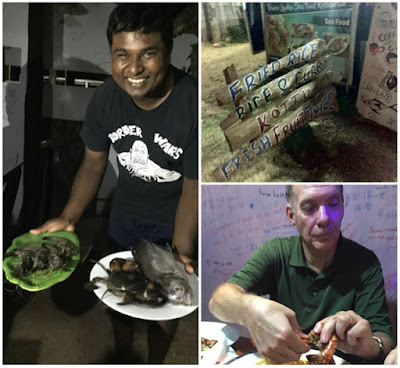 Once back in Trincomalee, we refueled with dinner at Trinco Lanka Seafood Restaurant, owned by friends of the local pastor - amazing fresh seafood! In a show of sisterly love, I gladly gave up my shrimp heads for Gary to enjoy. 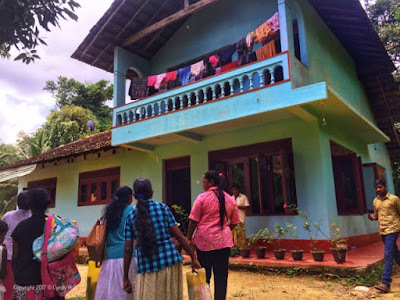 Tomorrow we return to the same home for morning church service, and then continue our 6-ish hour drive back to Moratuwa. This is a perfect illustration of the contrast in both geography and population between my home state of Montana and the nation of Sri Lanka. 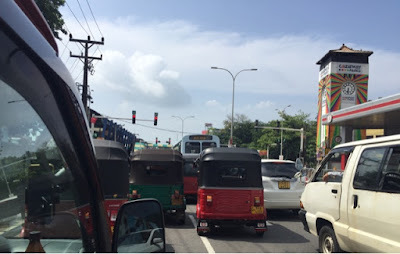 On developed roads in Sri Lanka (population: just under 21 million), with villages and towns peppered along many segments, the 6-ish hours covers about 270 km, or 168 miles. And then Monday we rest up and prep for the week ahead - me to travel homeward, and Pat & Gary and the local team to prep for services in Moratuwa and eye clinics in Buttala. 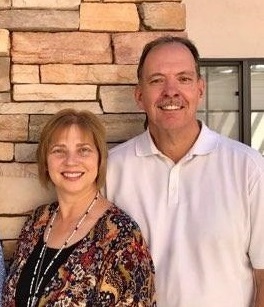 We appreciate all your support for this journey and your continued prayers. 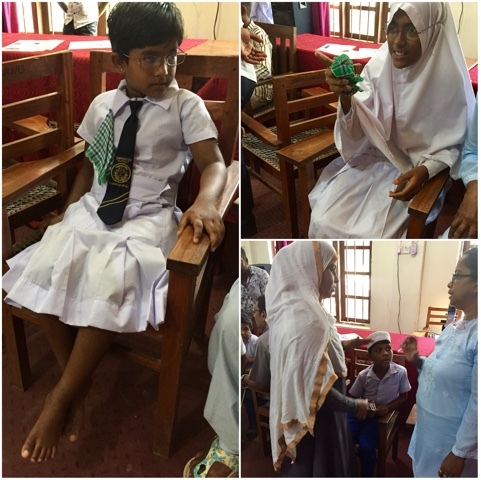 -141 pairs of glasses given away. And this all in 6 hours and 20 minutes of working time. Exams started at 9:40 AM, paused for a short lunch break in the early afternoon, and the last one finished at 5:05 PM. There is a bit of a back story to this amazing day unfolding as it did. The Methodist pastor's requests to build a church have been denied by local officials. But when he brought a request for permission to hold the eye clinic at a private location in the district, the same officials said, "Why don't you hold it at our district government offices?" 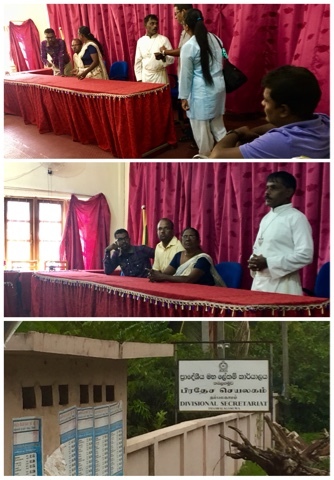 So, this morning's clinic started with formal greetings and addresses from several district representatives, as well as the local pastor who laid the groundwork & coordinated logistics. We saw a fair number of students in the morning, many brought by their parents with permission from the school officials. During both the morning and afternoon, many area police officers took their break time to wait for an exam. We saw this as a positive opportunity to build goodwill relationships with more local officials. How many Reverends does it take to examine the eyes of a Buddhist monk? The entire day was an amazing example of eye clinics - or any relevant answer to an actual need - opening doors and building relationship bridges - and relationship opens doors of the heart and mind for the very relevant Gospel of Jesus to be heard. 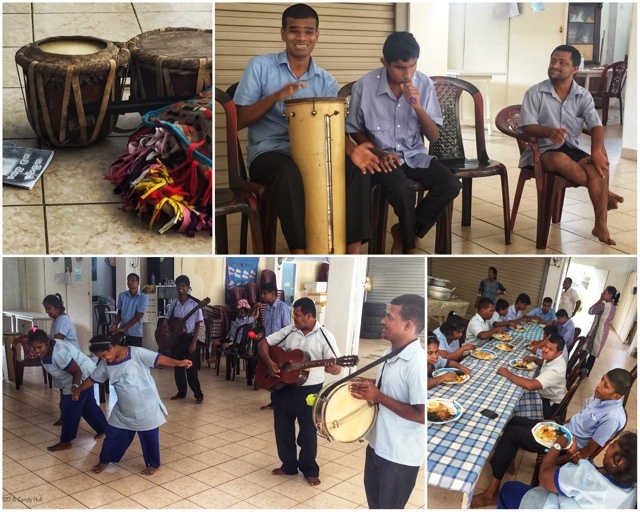 Tuesday morning, we were delighted to join the morning chapel singing and storytime at Adara Sevana, a local privately funded school for the differently-able. We noticed a significant change of increased calm and joy in several of the young people who were noticeably agitated on our February 2016 visits. Each student was thrilled to receive a kazoo that Kim Cline sent for them. This was a perfect gift, as none of them had ever before seen a kazoo, and they all enjoy participating in the music segments of their day. Once we figured out how to explain you don''t blow to create the noise, the kazoos were soon added into song accompaniments! 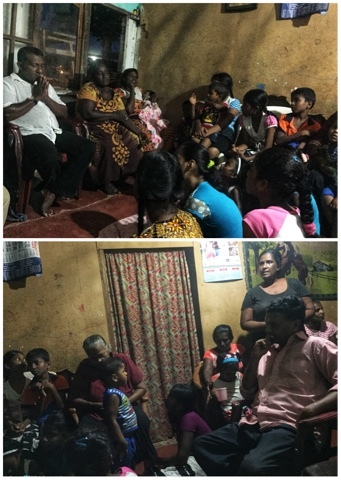 Tuesday evening, we were privileged to join a weekly prayer meeting hosted in a home in a fishing village right along the ocean, just 10 minutes drive from our hotel in Moratuwa. 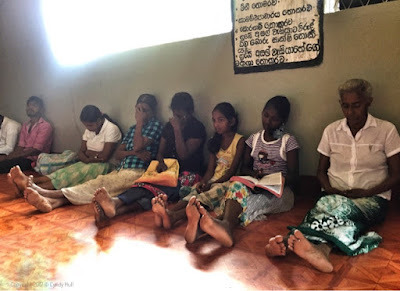 29 people attended, half of whom were children who all stayed through the hour-long meeting. The meeting is led by a couple who both teach at Adara Sevana. They also started a Thursday evening children's program in the village, currently with 21 regular participants. Wednesday evening, Gary spoke at the weekly interdenominational service held in the same facility that is home to Adara Sevana. He shared spiritual insight to the principle that we attain or become like what we actually expend our time and focus on. For example, spending notable amounts of time on social media feeds, TV, movies, etc, results in our thoughts and perception of life being influenced by this content. By the same principle, spending time with Jesus and ingesting the content of His Word results in our viewpoints aligning more and more to His. 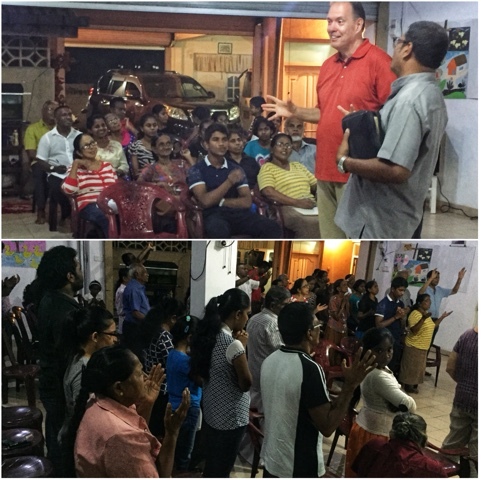 About 60 people came to the service; many requested prayer after the teaching. As we prayed for individuals, it was wonderful to see in person that there is no language barrier when it comes to prayer. Our next clinics are in Thambalagamuwa, a village near the port city of Trincomalee, on Sri Lanka's northeast coast. Apologies for the update delay. To catch up, I'll focus this post on our last eye clinic. 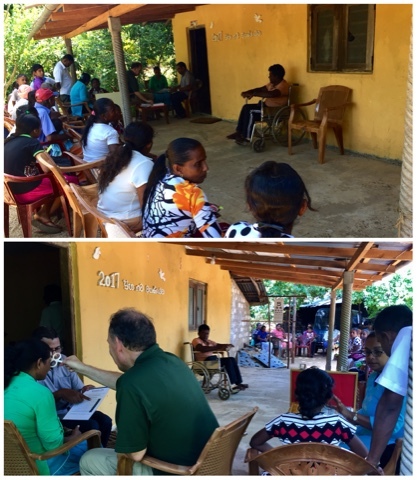 After resigning ourselves to not being able to travel to Sunday's planned location due to flood danger, we were blessed with clear skies, and were able to join with the local church in Hiniduma for Sunday morning service. 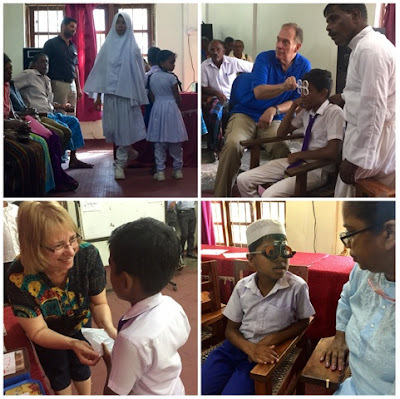 Immediately following the service, we set up the clinic and got to work with exams and dispensing eyeglasses. The pastor, his mother, and sister graciously opened their home near the church to host the afternoon's clinic. To reiterate, this home was flooded up to the roof just in May 2017. It's a bit hard to tell from this next picture, but the still-high river level is currently 15-20 feet down the fairly steep riverbank behind their home. 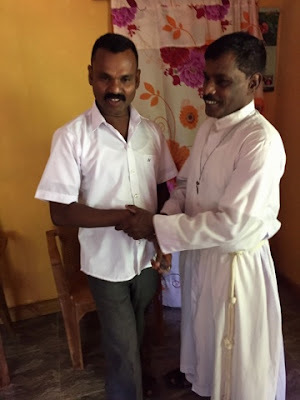 The floodwaters in May came up so quickly that some - including the pastor's family - had to be rescued from their rooftops, but we heard testimonies of thankfulness that they were able to get to safety, even though many homes required extensive repair. We were inspired by the resourcefulness and lack of self-pity in the midst of heart-breaking and extremely difficult scenarios. One gentlemen attending the clinic shared that he needed glasses because his were lost in the chaos of the flood. This little grandma, who is 76 years old, still has to support herself through the backbreaking work as a tea picker on a local estate. It has become very hard for her to even see the select leaves she must pluck. Her prescription ended up being a Coke-bottle-bottom -6.00 strength - the strongest glasses we had with us. And why, you may ask, is this gentleman threading a needle? He works as an umbrella repairman, and so this is the perfect practical double-check of his diagnosed prescription. 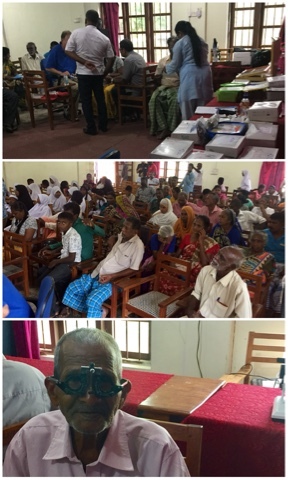 In 2 hours and 40 minutes, 98 people had their eyes examined, and 83 received free eyeglasses, thanks to the generosity of many of you reading this. 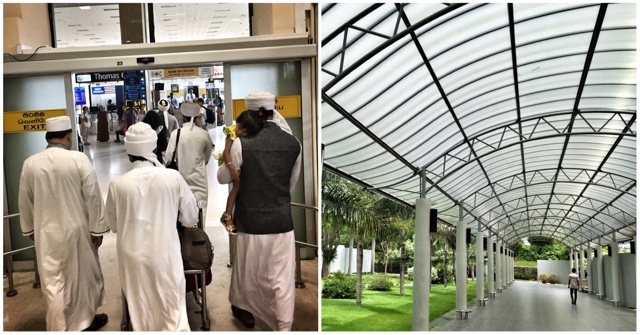 Thank you so much for being a vital part of this exciting journey in Sri Lanka. 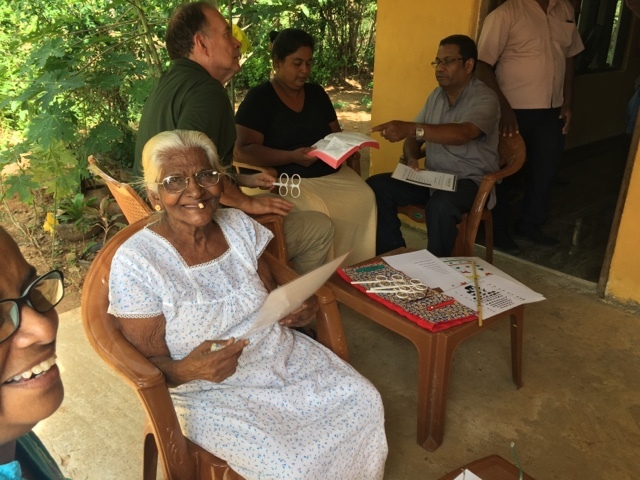 Tomorrow we drive about 6 hours northeast to Trincomalee, where we will hold clinics in nearby settlements on Friday and Saturday. I've never been to this area, and am looking forward to seeing new regions of this beautiful country and meeting more of its gracious people. Stay tuned! The rain kept pounding down intermittently during Saturday's eye clinic in Udugama, but paused for our walk from and back to the car! The van couldn't traverse the last little bit so we got in a nice little hike down to the meeting hall. In 3.5 hours, we set up (& later packed up) 2 exam stations - one each for distance and near-sighted testing - and a dispensary for diagnosed strengths of glasses, examined the eyes of 53 people, and gave out 38 pairs of eyeglasses. With the continuing rains, our Sunday plans were jeopardized, from a safety standpoint. Since Sunday's location was just further up the main road another 15 km, we booked it up there to say hello to the pastor and see the mission house and church location. In comparison to the murky high water pictured, this river is normally more of a trickling flow. The turquoise mission house pictured has a second story on the right side. This is the house I mentioned yesterday that flooded in May up to the second story roof, where the family was rescued. 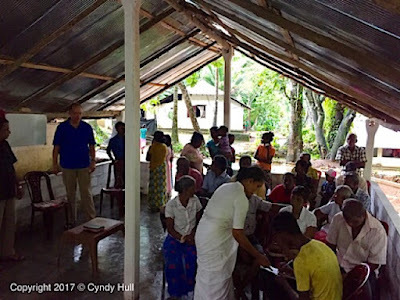 Just before the flood in May 2017, Buddhist leadership organized opposition to this church in Hiniduma being built. In response to the flood, the church pastors and people offered much needed aid to others in the community, and that was the end of that round of opposition. 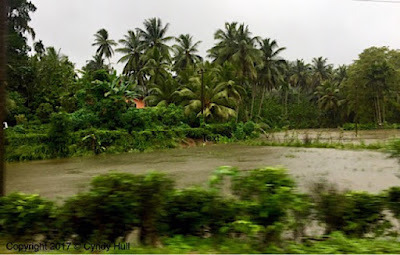 Many homes along the way had also been flooded out at the same time. Some buildings and roads are still undergoing repair. This station for the #10 bus route was flooded to right below the roofline. Since May, it has been repaired and repainted. 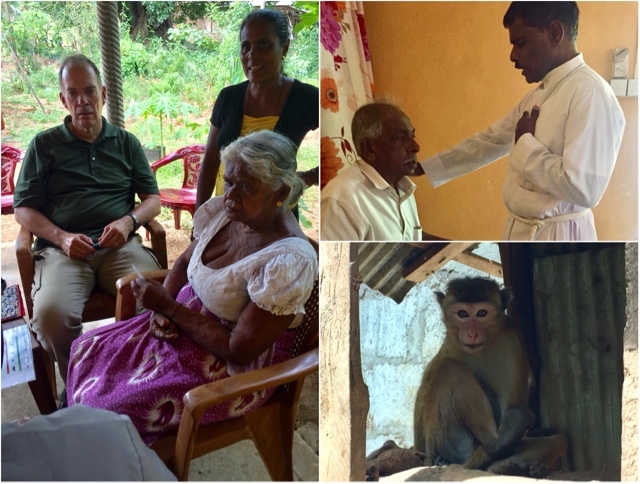 BUT today, prayers were answered with clear skies, both at our hotel in Hikkaduwa and up in the hills at Hiniduma. 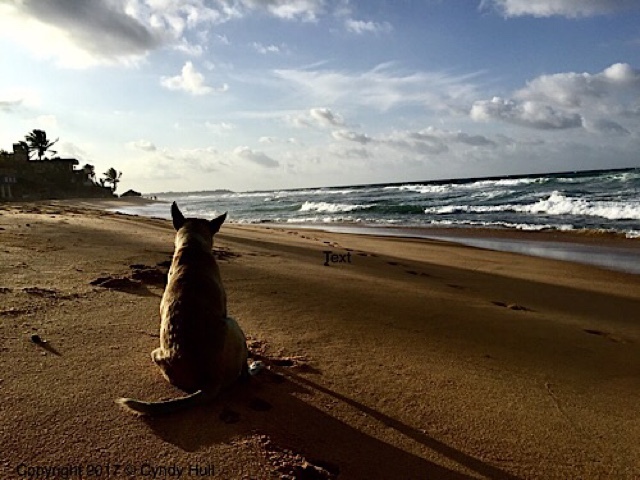 Even one of the little local orphan dogs is enjoying the clear view. Breakfast was on time & delicious, and we are on our way with high expectations for both the morning service and afternoon eye clinic. Then we head back to our main base in Moratuwa, to prepare for next week's clinics in Trincomalee. Our plans today to depart at 7:30 AM to our first eye clinic in Udugama were slightly delayed - on our side, by the hotel kitchen's laid back interpretation of time (breakfast at 7:00 AM became the initial fruit plate arriving at 7:30...) On the destination side, heavy rain and subsequent flood warnings required our key contact waiting in Udugama to drive back home and transfer his family to safety and move furniture up to their second story rooms. 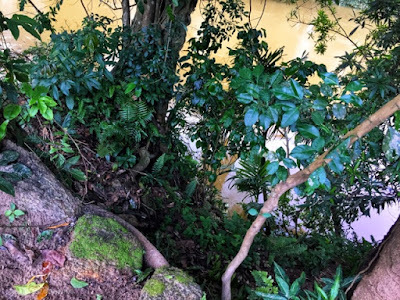 They live further away from the clinic destination, down near the river. When severe floods occurred in Sri Lanka this past May, their home quickly was under water past the second story and they were rescued off the roof. As of our departure time of 8:35 AM, we were assured that the area we are headed to is safe, being at a higher elevation in low-grown tea country. 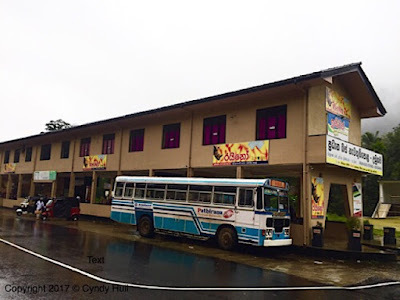 If rain continues at the current rate, plans may not go as scheduled for today's second eye clinic and tomorrow's scheduled church meeting and eye clinic, due to safety warnings of potential mudslides and also because the people who would come to the clinics would be occupied with moving to higher ground. BUT there is a bit of sunshine peaking out, so we wait to see what God has in store either way. Side Note: Low country tea is different from high country tea, which is perceived as a finer quality product. 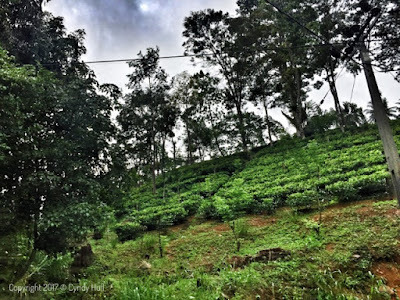 I noticed right away that the terraces are not as steeply vertical nor the plants as strictly pruned as on the high country estates we visited near Nuwara Eliya in 2016. We also drove through palm oil and rubber tree estates - love seeing the real world source of a common item off ingredient lists. Kind of like putting a face to a name. 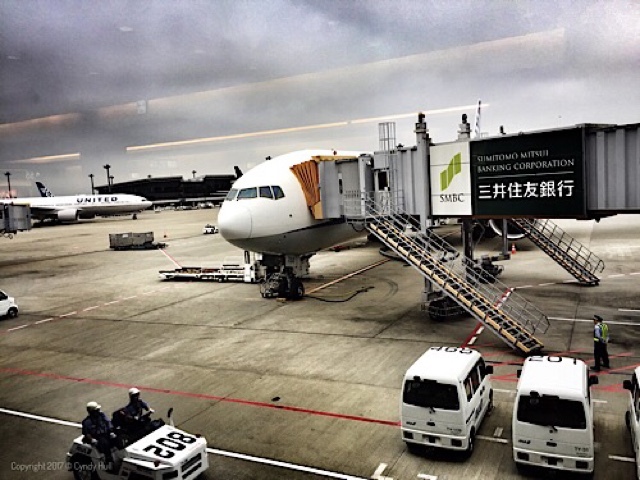 Apologies for the delay in postings of our travel progress. We had some technical glitches, but I think we're back in business. 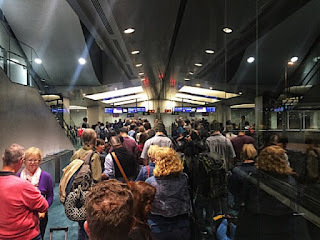 Departure line, more than halfway boarded! After taking it easy the rest of Thursday, we then set off down the road Friday morning towards our first clinic base. But more on that tomorrow - mid-morning Montana time is well past my bedtime 11.5 hours ahead in Sri Lanka!